This review is about item#9351842. 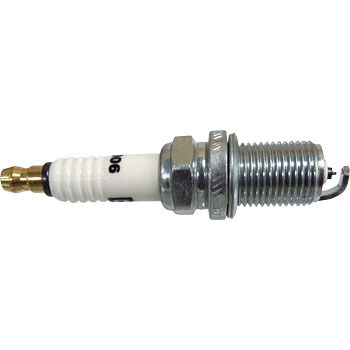 Compared to conventional products, ignition and starting are quick, reliable plugs. I also think that combustion performance is good or black smoke coming out from the exhaust port is also small. It is recommended that the ignition performance is good because the trouble at the sea and the risk of distress are also lowered. It is also convenient when bringing a spare with a boat if you are in a simple poly case etc at the time of sale. I tried using Iridium because the price is cheap. For now it is so so. Because I do not understand durability because it is cheap, I think at the same replacement time as a regular plug. Domestic products and performance are the same and there is no problem at all! As the plug is a consumable item, it is better to be as cheap as possible! This review is about item#09351833. I exchanged at the vehicle inspection time. I have not had a problem so far. Blowing up is also very good. It is inexpensive and satisfied. I plan to purchase again. This review is about item#9351851. I usually use NGK, but I was worried about the price, but it was good, but the conformance chart was rough and hard to understand. This review is about item#35025462. Since the car started knocking, I first exchanged it with a plug. Knocking disappeared, low-speed torque became thick. I am very satisfied. This review is about item#9351815. It is the second order this time. After the previous replacement engine was torqueful and feeling was good, it is again order. This price is appreciated in iridium. I think that it is better if it becomes cheaper a little more with 4 sets or a set.